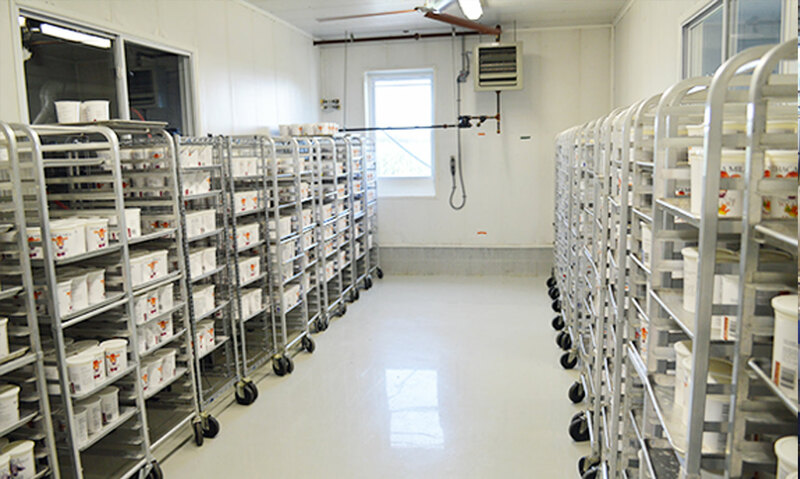 One of the things that makes us unique, is that we produce all our yogurt in our own creamery. 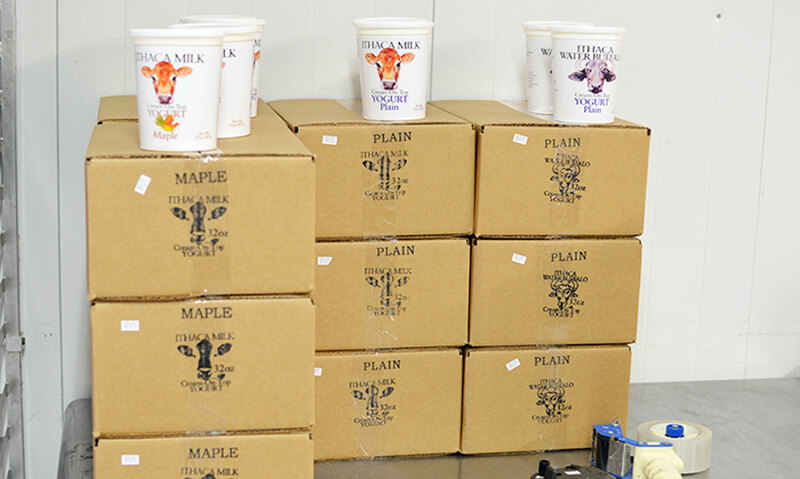 Our creamery is situated in Interlaken; yup, that's right between the two largest Finger Lakes, Cayuga and Seneca. Drive a mile in any direction and you can see one or both lakes. After heating, the cream-on-top milk is cooled down to 100°F, and our healthy and natural probiotic cultures are added, together with organic cane sugar and natural flavors. The mixture is then put into the yogurt cups with a small rotary filler. 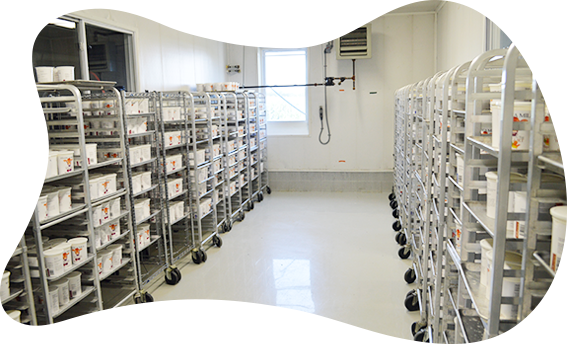 Once filled, the cups are placed in an incubation room for several hours at 100˚F. There, some of the cream rises to the top forming the upper cream layer, and the probiotic cultures (Lactobacillus acidophilus, Bifidobacterium longum, Streptococcus thermophilus, and Lactobacillus bulgaricus) cause the natural fermentation that thickens or "sets" the milk into yogurt in the cup. 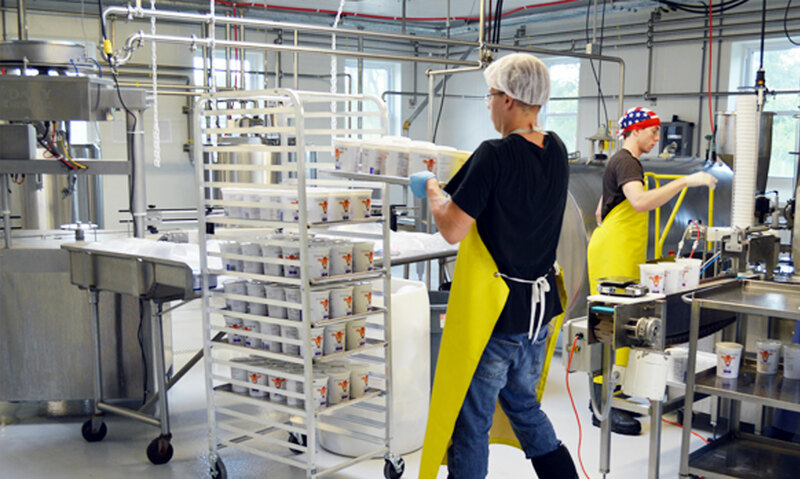 This natural Old-Word style process allows us to produce yogurt with no artificial preservatives, thickeners or stabilizers. 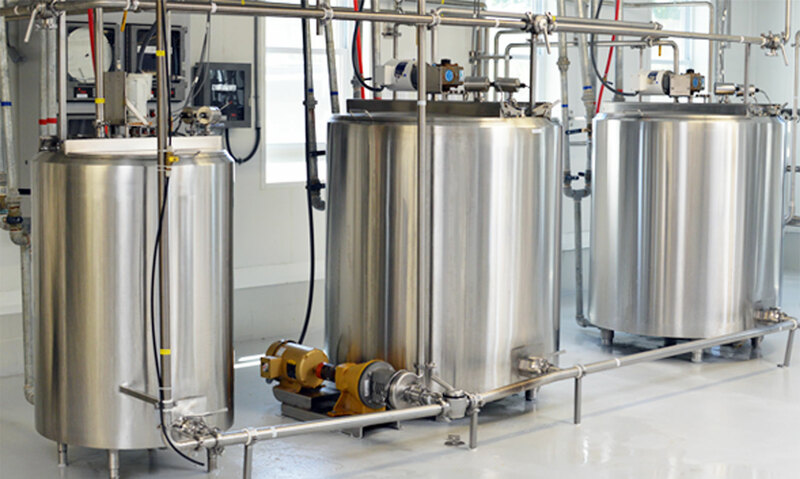 After heating, the cream-on-top milk is cooled down to 100°F, and our healthy and natural probiotic cultures are added, together with organic sugar and natural flavors. The mixture is then put into the yogurt cups with a small rotary filler.